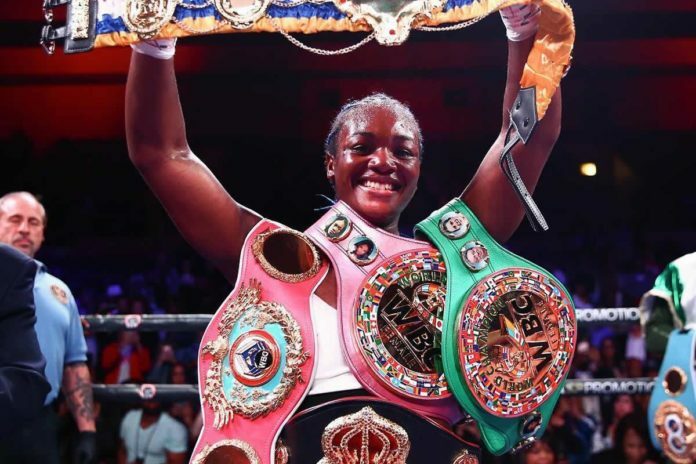 American Claressa Shields and German Christina Hammer squared off in the middleweight championship of the world, which was dubbed as the biggest fight in women’s boxing history. The scheduled for ten rounds encounter headlined the fight card held at The Boardwalk Hall in Atlantic City, NJ on April 14 (AEDT). Both athletes brought to the table undefeated record. Shields was fighting in defense of her WBA, WBC, and IBF titles, while Hammer was defending her WBO belt. In addition, a vacant The Ring middleweight title was on the line. After ten rounds of women’s boxing a unanimous decision went in favor of the representative of the country-host. All judges scored the fight 98-92 proclaiming Shields as the undisputed middleweight champion. Ultimately, Shields, the first American boxer to win two consecutive Olympic Gold medals during her amateur career, unified women’s middleweight championship, collecting all major title belts. In addition she updated her pro record to 9-0, 2 KO. Hammer dropped to 24-1, 11 KO, suffering the first defeat in her professional boxing career.